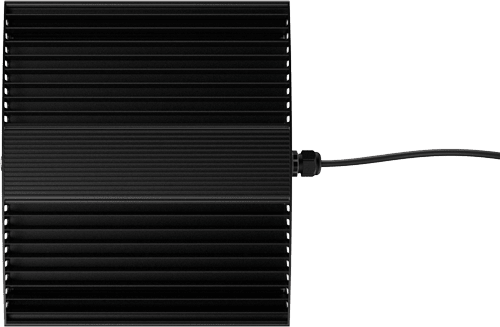 Crafted from a superb piece of aluminum, the aerodynamic design of the fSpectrum+ primarily serves as a passive cooling mechanism. 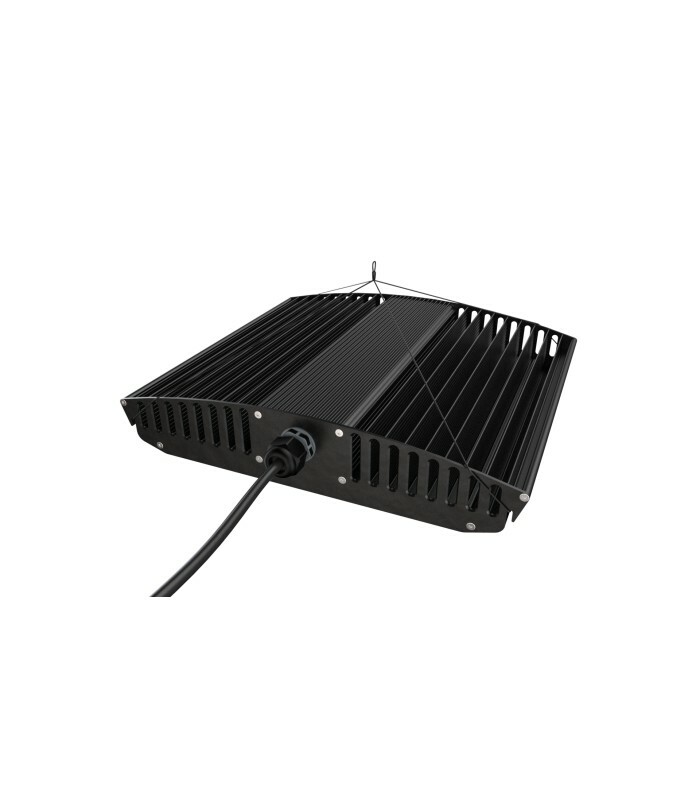 A power button ignites the powerful and vitalising light spectrum which applies to all plant species and in all growth cycles. 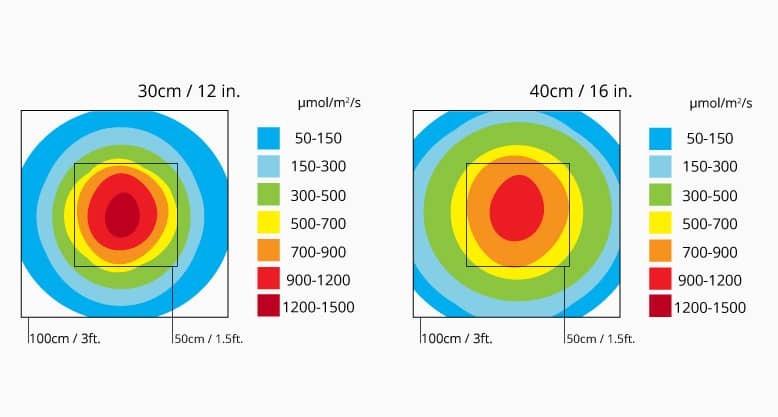 The fSpectrum+ is one of the most efficient lighting systems on the market, producing 35% more plant-beneficial light per watt than high-pressure sodium (HPS) while generating less than 60% heat. 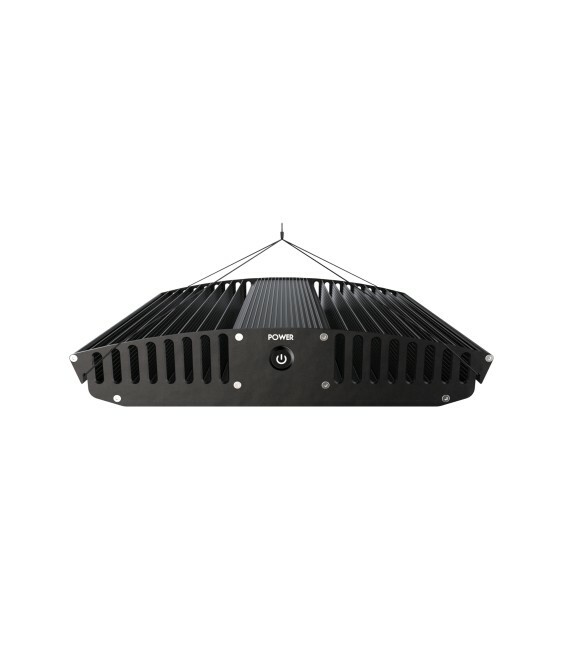 With only 125 Watts, the fSpectrum+ system brings an impressive number of photons to the plant canopy. 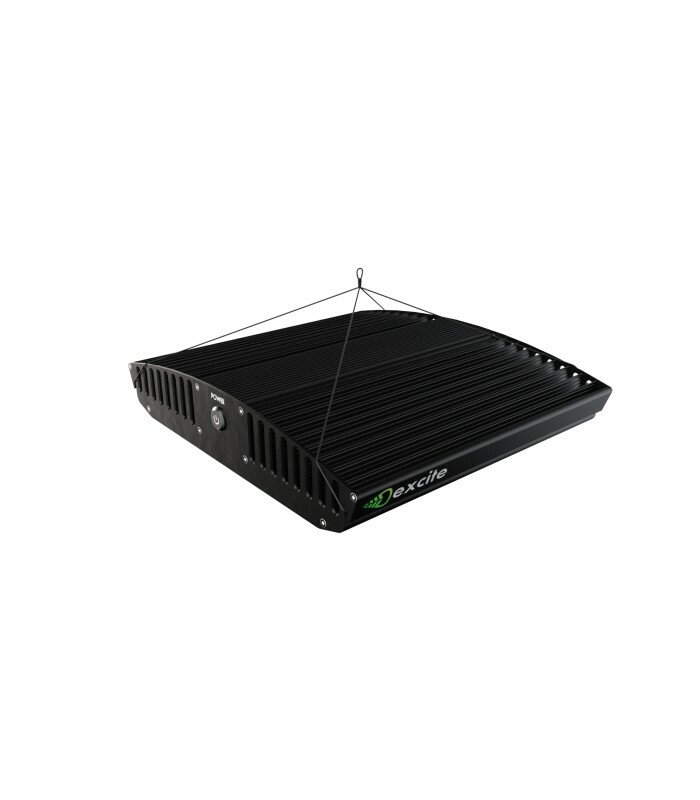 The photon flux (PPF) of 363 μmol/s (> 2.9 PPF / Watt) provides high light intensities on the recommended illumination surface and ensures highest photosynthesis rates. 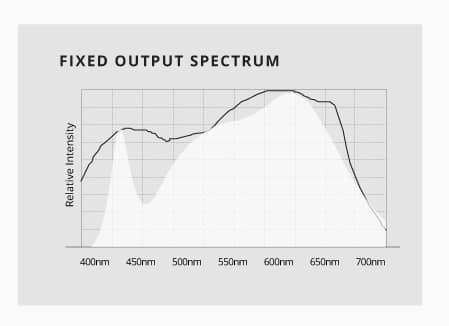 The wide-banded output spectrum, rich in 430nm - 450nm, 530nm - 580nm and 620nm - 660nm wavelengths, is perfectly suitable to all plant species from seed to harvest, where the spectral distribution follows the curve of the relative quantum efficiency of McCree (1972). The uncompromising intensity of the warm white light provides a balanced mix of all spectral colours for strong stem formation and bushy growth with short internodal spacing in the vegetative phase and sturdy fruiting branches with high yields in the generative phase. Ive been using these for a few months now in veg. my plants love the intensity. Im able to keep the lights around 2 feet above the canopy with no excessive stretching of the plants. The mixed white spectrum seems to be just right for the plants. Im able to use these on new seedlings all the way up to flowering out a plants to completion. The quality of these units are one of their strong points too. All Commercial quality and some of the best components money can build LED lights with. The small modular style is amazing for spreading out the light footprint. 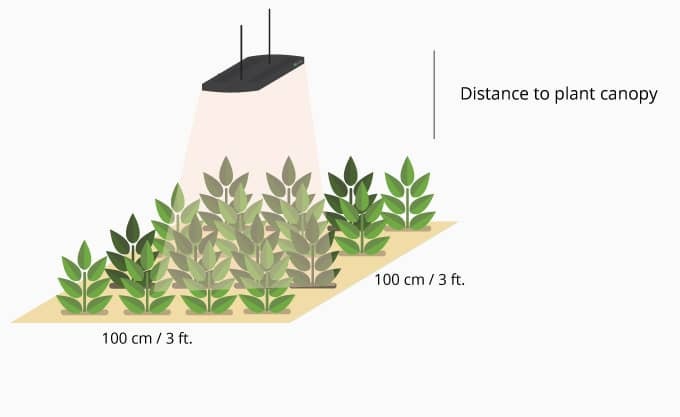 I get a solid 3 foot x 3 foot spread on my plants with just (1) 125 watt unit. These work great for covering square or rectangular shaped grow areas. 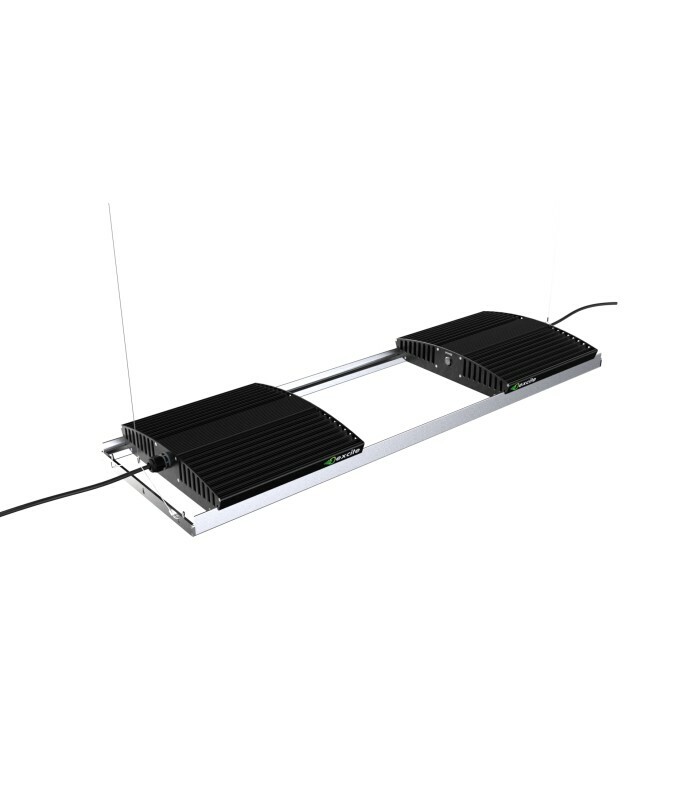 I used t5 lighting in the past and ended up using more watts and more heat from them. 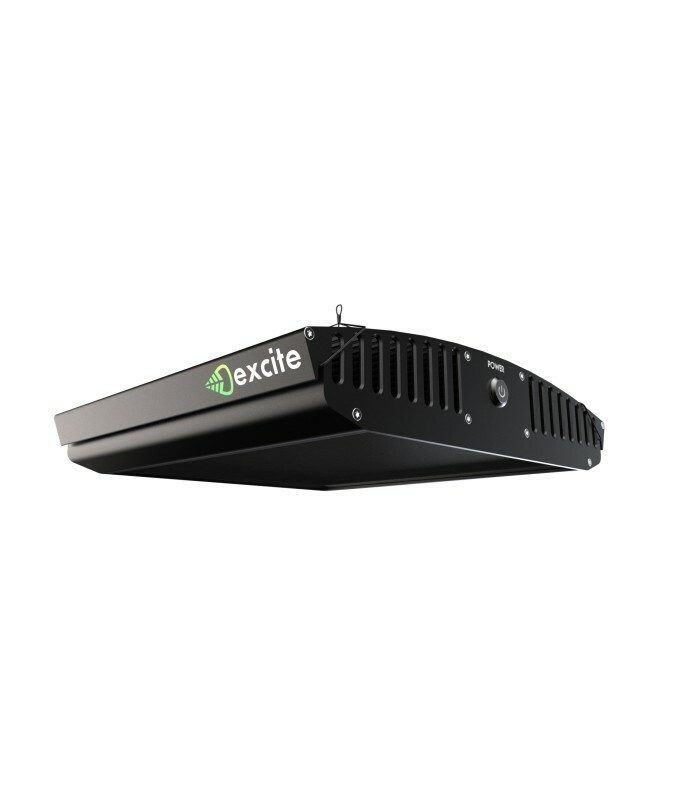 running a fan at light level keeps these units running cool and manageable in small spaces. I love the fact they run quiet and have no internal fans to burn out on them. The investment in these has definitely been a good one for me. The lights are shipped very well each in their own padded box and then double boxed for additional protection. Very professional and refreshing to see from a lighting company. Email communication and phone contact has been great as well. Ramsey is always very helpful and knowledgable. That guy knows his product inside and out. Overall these are a solid investment in grow lights. Ive been using different grow lights for over the last 10 years and these are the direction im going to go now with these Cree COB LEDs. No more buying expensive light bulbs for me over and over. If your on the fence then consider my review. Zurzeit benutze ich das Panel in einer 60x60 Growbox und es lässt die Pflanzen wirklich unglaunlich gedrugren und buschig wachsen. Sie verbrauchen viel Wasser und entwickeln sich sehr schnell. Von der Qualität der Lampe bin ich absolut begeistert, sehr schön verarbeitet und sie wird auch nicht sonderlich heiß, trotzdem benutze ich einen Ventilator der über die Kühlrillen bläßt. Nur über die Aufhängung könnte man sich eventuell noch ein paar Gedanken machen da gerade bei geringer Höhe wie in meiner Box die Stahldrähte die als Aufhängung dienen nach oben hin 10cm Platz klaut. Ebenso könnte man noch die Bins der COBs in die Brochüre packen. Das asymmetrische Spektrum der drei verschiedenen COBs fällt nicht auf, das Licht mischt sich sehr gut. In einer E-Mail wurde mir gesagt dass sich erst ab wenigen Zentimetern unterschiede im Spektrum erkennen lassen da die COBs auch sehr nahe beieinander liegen.